tserena Nov 02 2018 3:53 am she is best actress of world. suzukosatoh Jan 07 2018 11:27 am She acted very well. I like the way she acts in the movie Good Thief Bad Thief. She tried her best and perfected her charisma. Always support her!!! Chain Sep 18 2017 3:23 am Simple words, she is the best. Her acting is so perfect, some of the Korean actors and actresses seems to me over acting and over crying. Every role she played I fully satisfied. She has very strong personality. ALMARIO -M E Sep 08 2017 1:27 am Great actress that has never disappointed. So many great films ranging from historical to modern day. Truly a pleasure watching you in so many great films and dramas! Thank you! Bake Sep 01 2017 9:50 pm Every role I've seen you in, good or evil, you make believable. Great job, and I'm looking forward to seeing you again. Is one of the most gifted, and powerful drama performers I have ever seen. Somehow without pause, or lack of a better word she has the extraordinary ability to take hold of the camera lens to pull us all in for a acting experience unmatched by anyone. I'm sure you have noticed, she steals every scene she is in without question. What else can I say......she is the great one! Vey Vey Sep 18 2016 2:46 am Wow I couldnt recognize you in some drama because you became different person. Very talented actress! Chloe-USA Jun 20 2016 7:21 pm Seo Yi-Sook: You are such a power of talent!!! I love watching you!!! You are one to watch!!! Beauty and a powerhouse presence!!! martin fennell Dec 07 2015 9:12 pm Just discovered her in you're all surrounded. Excellent actress. 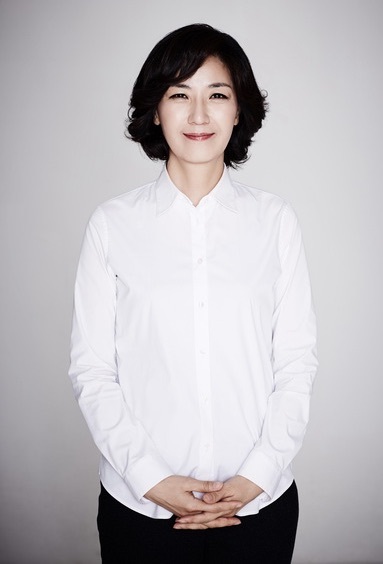 H. David Richard Jun 03 2015 10:33 pm Hey, this woman, Seo Yi-Sook, is amazing. The eyes and the smile, capture my soul. Good Role or Bad Role, this actress is for me! Wow. dramADDICT Aug 11 2014 4:26 pm She is one of the most talented and versatile actors out there. She plays both the good and evil characters in multiple dramas simultaneously! I don't know where she finds the energy considering the efforts required to support a Korean drama like Empress Ki and King's Daughter Soo Baek Hyang, both went on for months. She did both at the same time and was flawless. She followed up with You're All Surrounded playing the police captain in that drama while still playing a mother showing perfect comedic timing in the comedy My Dear Cat. She added another drama, Dairy of a Night Watchman, which is ongoing now while My Dear Cat runs it's course. She is a 2nd or 3rd lead that is a key part of many notable Korean dramas and romantic comedies! She deserves a lead role in my humble opinion!!!! tp Apr 17 2014 2:27 pm I really like this actress in "Empress Ki" cuz her character is so amusing. She looks much much better & more beautiful here than in Empress Ki though. Good luck!